OVER 80 HORSES PLACED since 2009 . . .and counting for owners unable to continue care for their horses, rescuers unable to screen homes, seizures and directly from the rescue! in rescue situations before, regardless. to be willing to be aware of this. if you own your equine property. 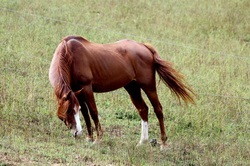 THIS IS NOT AN UP TO DATE LIST - PLEASE VISIT: WWW.wvhorserescue.org - the new website - for an up to date list! Horses at Heart of Phoenix, INC, in need elsewhere and with our fosters. fund future rescues, and we cannot operate with funding. you're looking to provide a home for. This little filly, Amber, is a coming 3 year old Quarter Pony out of the reg. 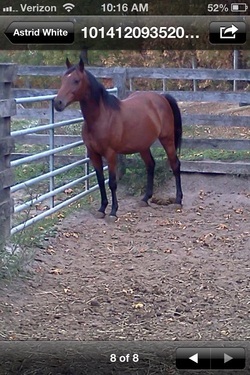 Quarter Horse mare who was adopted through us. She is 13hh. She has good ground manners and is very smart, willing to learn. She will be placed into a home able to complete her training. 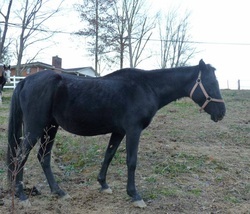 She is okay with someone being ponied on her - $150 adoption fee to approved home on a contract. 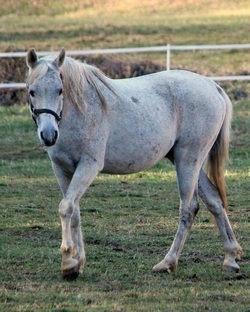 This mare was rescued from going to auction. She is a real beauty. CoCo is SMART, willing and loving mare. She has a soft tissue injury that does not effect her soundness at this time, though the joint sometimes swells, the X rays show it is soft tissue. and should not effect her soundness. She is broke to ride and enjoys being ridden! 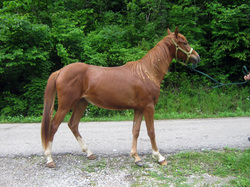 She is approx 14.1hh She is about 7 years old. 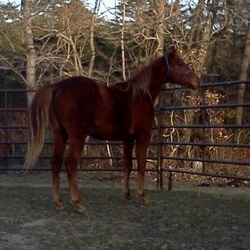 Bella is a TWH mare, about 15hh. She was picked up by a lady before being ran through Cattlesburg auction . . .she isn't in our rescue because we are full, but the lady who rescued her really needed an experienced rescue to step in and take over to help, so we have done that and accepted her. She needs to gain a lot more weight and she needs her teeth done, and if we can get a sponsor, that would be great. I also think, based on that belly, we might be dealing with a pregnancy. . .and would like to have her palpated to make sure she isn't pregnant. 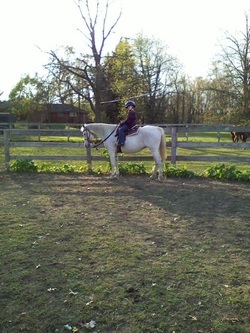 She is broke to ride and about 15hh. Horses posted for others that are in need of homes ASAP! Amazing Grace is now up for adoption! Her awesome foster momma has put a lot of time, sweat and money into her training to assure she gets the best of homes. She is a late teens Hackney pony. 12.2hh. Located in St. Albans, WV. She had 30 days of professional training after going to foster following us moving her when she was abandoned. She is UTD on everything and in great condition now!! Sound and will make a great pony for a very confident rider. She seems to be broke to drive, as well, but that is not certain. She does seem to take advantage of a lack of confidence, assurance or experience. She has been shown numerous times this past season. 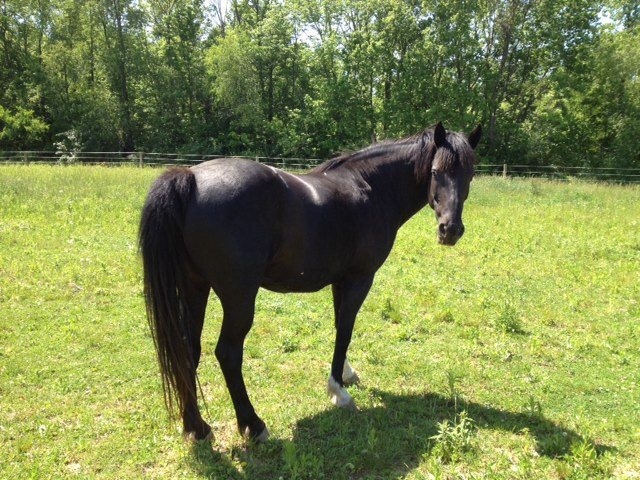 $600 fee Chip was 1.5yrs old when he was found abandoned in a field with another horse. They were skinny, full of worms, and covered in rain rot. After receiving treatment, he came into my life. Chip is a very willing four year old gelding. He is at least 15.2H and still growing. 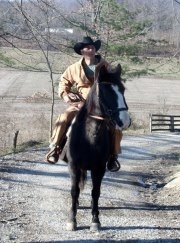 He finished 30 days training with a natural horsemanship type of trainer and did excellent. He is ready for his new owner! He would be good for either English or Western riders. He has been trail ridden extensively. He will go through water, over logs, wooden bridges, etc. He will lead or follow. He has been around a variety of dogs large & small, and plenty of other horses. He is great with the vet, farrier, and equine dentist. He is better behaved with them than most adult horses. He has a negative coggins as of Feb 2012 and is current on all vaccinations (he is due for a booster which I will do as well as float his teeth prior to him going anywhere). time and training to overcome their pasts, no matter where they came from. adopted - URGENT - Huntington, WV - AKC registered Red Heeler - UTD on everything, microchipped - NO FEE to approved home. No kids - would need time and a good handler to be introduced to new dogs - no small animals. His aggression with his owners infant is something the family has tried to work on for nearly a year with no success, and if we is not able to be placed in the next month, he will have to be put down, I am told. They stress NO children whatsoever in his new home. He is okay with other dogs when his owners currently around around - he is defensive if they are around. Good at the vet, for grooming and with cats. Adopted - Twister - Arabian gelding from a neglect seizure in Maryland last year, rehabbed in Texas and now this group of 20 is in need of rescues to step in to help take these horses and place them. We have a few applications in on Beauty and Scarlett, and we have a foster for Rhett, so we are going to squish these two geldings in and place them from HOP! Both are started undersaddle. 3 years old and Polish breeding. No papers. 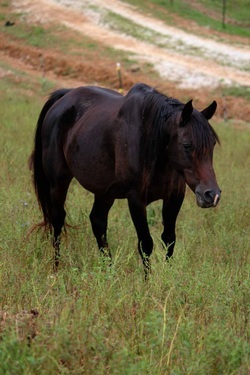 ADOPTED - Black Beauty - Spotted Saddlehorse - this mare racks and has a very smooth gait - 8 years old. GORGEOUS black/white gal (with the most amazing white tail!). 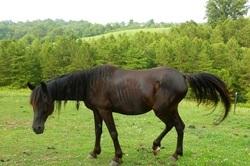 She can be registered with SSHBEA and the Racking Horse Association. She is well broke and loves people. $400 adoption fee. ADOPTED - Rhett is a flashy little 3 month old colt. He was born in rescue after his mom was brought in. 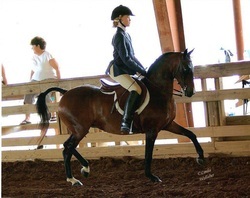 She is Sarah, listed above, so he is a Paso Fino cross. Unsure if he will be gaited at this time. His fee is $150 to an approved home that can give him the training he will need to become a great little riding partner! NOW with Lilly Pond Foal Rescue in MD - These foals are a product of the nurse mare industry. They were purchased by our rescue at auction. For those interested in adopting the foals, as long as they continue to progress, we will be placing them up for adoption soon. I am not ready to say they can be moved further than 3 hours away from Huntington, WV at this time. As they improve, if they have not found placement closer, we will consider applications from further distances, so please feel free submit - adoptions fees will be $150 ea - they adopt together only, at this time. 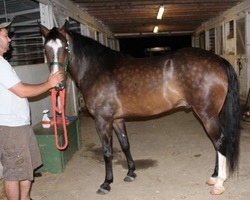 ADOPTION PENDING - In Virginia - 14hh Arab gelding Sabi is broke and well suited for an advanced beginner rider in outside trails, shows but do not like indoor work. 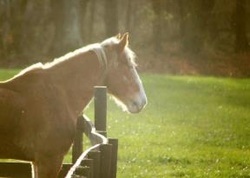 13hh Pony in urgent need of a home. 13hh. Well broke, the owner says, no longer has a space to keep her. Wayne County. No fee to a screened home on contract. 8 years old. Mare Teeth have been floated, hooves trimmed, vetted, etc. 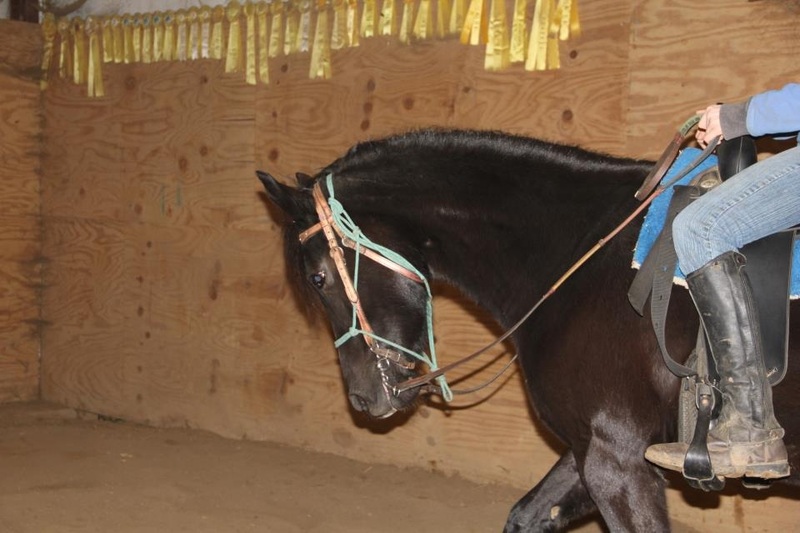 Photos are before the pony was brought back to condition, owner says, upon purchase. 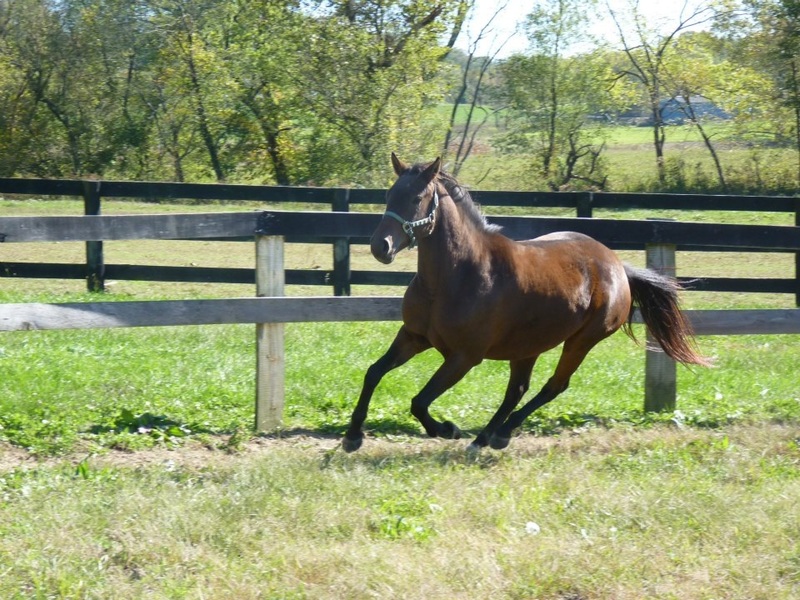 9 Straight Egyptian Arabians are left needing homes in Hampshire County, WV. I am screening homes for the county for these horses. 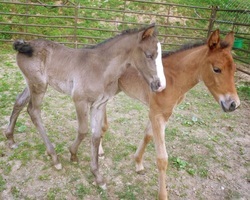 Of them, 2 stallions (one being the Ara/Appaloosa above) and 6 mares/fillies and 3 foals remain needing homes. 3 grey mares, two with foals, 3 bay mares, one with a foal and one yearling filly (Sabiano Bay). Ages range from lare 20's to a few months old. $250 ea adoption fee to help the county recover their costs. Papers from AHA Possible. 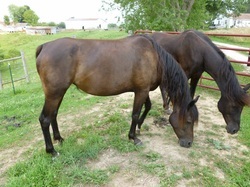 URGENT SITUATION where they must find homes in just a few short weeks - come with coggins and have been vet checked, but as you see from photos, they are in poor shape and need rehabbed. 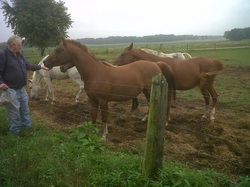 These horses have VERY good breeding behind them and were amazing when in condition. Billy - 1/2/2012 We had to make the hard choice to have this poor soul put down due to more issues than I can recount here. . . but as many remind me, quality of life is what matters, not quantity, and his last few months once with our rescue and loving fosters served to let him know people did care and could love him! ADOPTED 10-12 year old QH/ARAB cross mare. Broke to ride, easy to handle. 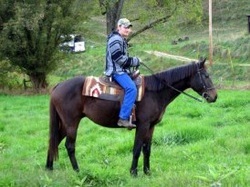 She is coming back to us after adoption due to bucking undersaddle. This is not something we experienced with her, and we understand bucking can arise from many issues. We will reevaluate her upon her arrival. 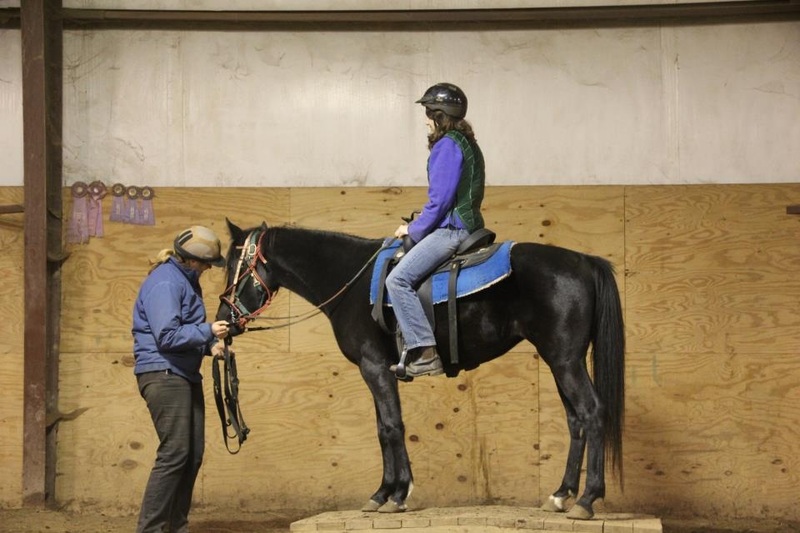 At this time, we believe she will need a bite of training or an intermediate rider with experience with working through possible issues. ADOPTED St Bernard girl in need of a home. Spayed. $80 adoption fee to offset vetting costs, which have been much more. Found abandoned in Wayne, we placed her with a great family in St. Albans!!! ADOPTED Already "fixed" little Pup rescued by Sonora Winds and in need of a new home. Cute as a button, Friendly and loving! Believed to be a Border Collie mix. ADOPTED Already "fixed" little Pup rescued by Sonora Winds and in need of a new home. In Hamlin, WV Cute as a button, Friendly and loving! Believed to be a Border Collie/Shepherd mix. ADOPTED This little gal was found by my grandmother about 5 weeks ago at 3 weeks old. Her feral mother never came back to get her when she moved her litter. We have bottlefed her since - she is now on reg. food and water. 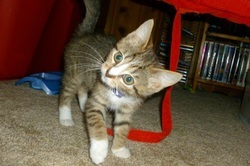 She is the MOST lovin and people friendly kitten I've seen - adopts on contact. 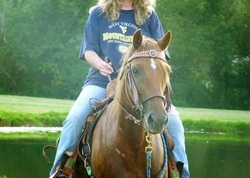 ADOPTed - Honey, Reg AQHA 2001 Mare. Honey is a Lovely mare. Very tender and sweet. Well broke to ride. Swayed back from being used as a broodmare, but sound for riding a smaller adult or child rider. Adoption fee $250 - ADOPTION PENDING! 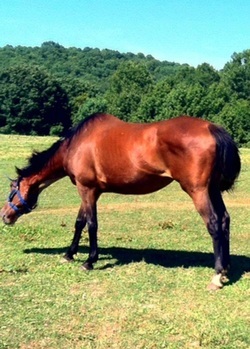 Lovely Arab mare, Dior, adopted in Sept. ADOPTED to Michelle D in Ohio! This photo his of Kate in her new home after a few months with his adopter's autistic son -Kate - 9 yr old Arab QH Mare - Slaughter Rescue. Broke, basic intermediate rider safe, from what we have seen, great on ground, for tacking up and for farrier! ADOPTED by Donald C in St. Albans! This boy iwasstarving in Logan county - someone has taken him in that has no room or experience just to try to help him, and we are full here - I have arranged a potential adoption - this boy need food, gelding and farrier work BAD! Indigo is an 8 yr old Owner Surrendered TWH. Well broke and adopted to a family in Ky who is already a great foster family for HOP! Patriot Sky on adoption day - Thank you to Sonora for fostering her! See PetFinder link HERE for full Listing!